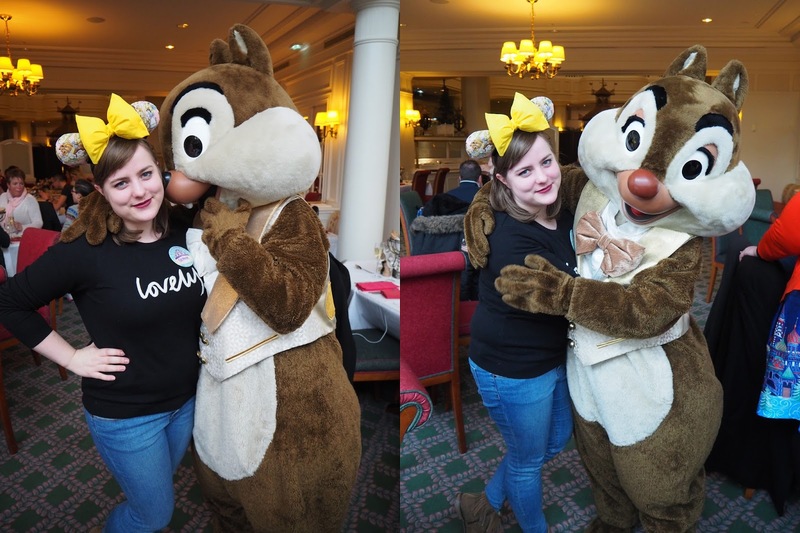 One of my favourite things that happened on my Disneyland Paris trip in January was a visit to Inventions at the Disneyland Hotel for their Sunday Brunch. I say brunch, but it was definitely more of a lunch. Our booking was at 1pm, the food was a full buffet and there definitely wasn't just breakfast food. This was my second character meal that I've done, but definitely my favourite. 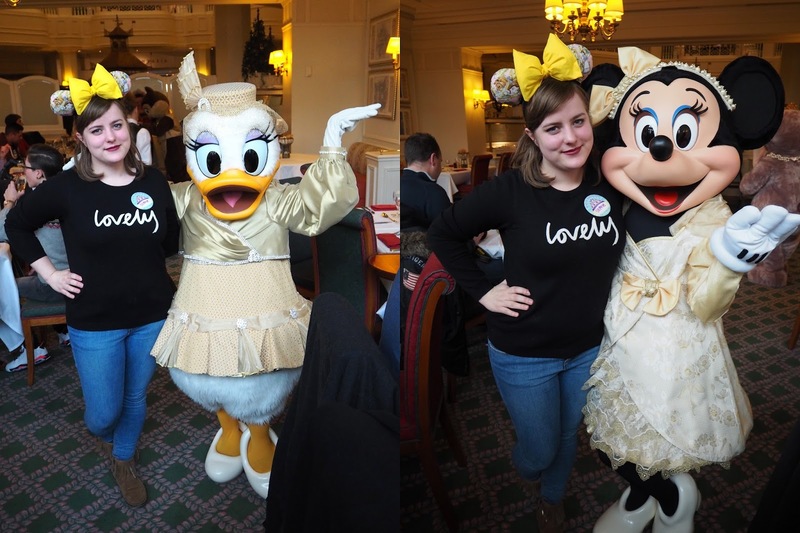 I went to Cafe Mickey for breakfast back in December 2015, and although the experience as a whole was great, and it was fairly cheap in comparison, the food just didn't compare. We arrived at the Disneyland Hotel and headed up to Inventions. For the brunch we had, we weren't actually in the Inventions restaurant but had been moved next door to California Grill. It was still super picturesque, and the seventeen of us were sat across 3 tables right by the window. Being sat near the window was perfect for pictures, because the lighting elsewhere was rather yellow. Once seated, we were given a glass of bubbly and were met by an array of characters. The theme was Russian New Year, so they were all dressed up. 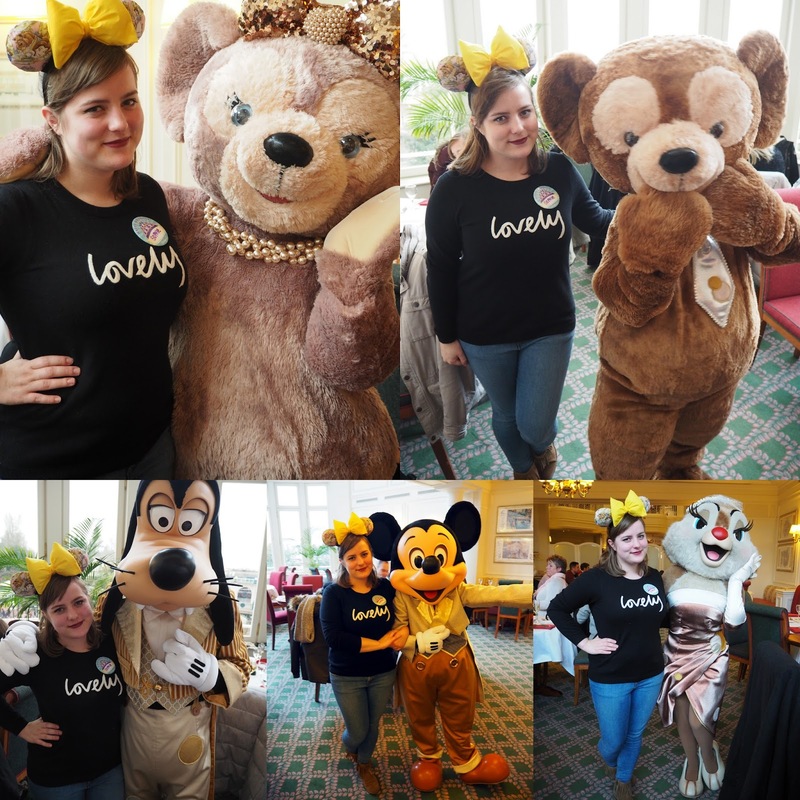 We got to see ten characters in total - Mickey, Minnie, Chip, Dale, Goofy, Donald, Daisy, Clarice, Duffy and ShellieMay. Although I'd met six out of the ten characters previously, getting to see them in the rare costumes was definitely worth it. The characters also came round multiple times, and most of them spent a decent amount of time with everyone. The food was also fantastic - I had two or three plates of savoury food, and another plate full of desserts. 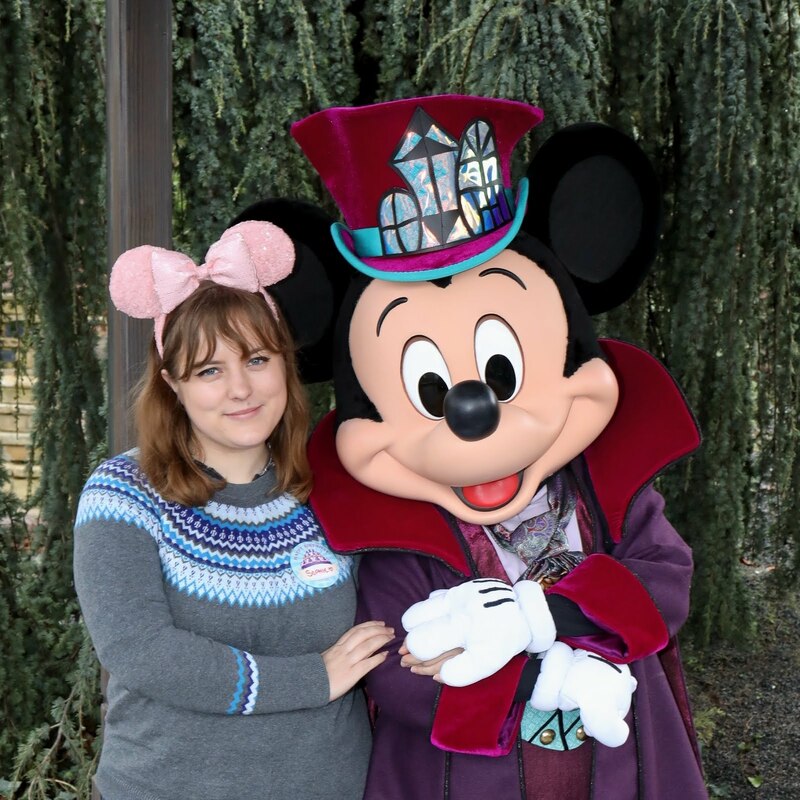 Coming in at €70 per person (or €56 with my AP discount) the meal is one of the more expensive ones in the park, but for the amount of food we could have, as well as getting to meet ten different characters all in costume, it was well worth it. They were also extremely accommodating for such a large group! I'm very very tempted to book the brunch for when I'm there at Halloween, especially after seeing pictures of the villains that attended last year!